So I could mark this down as a goal achieved already for 2015, but I most likely won't. I did want to share with people this book that I published. 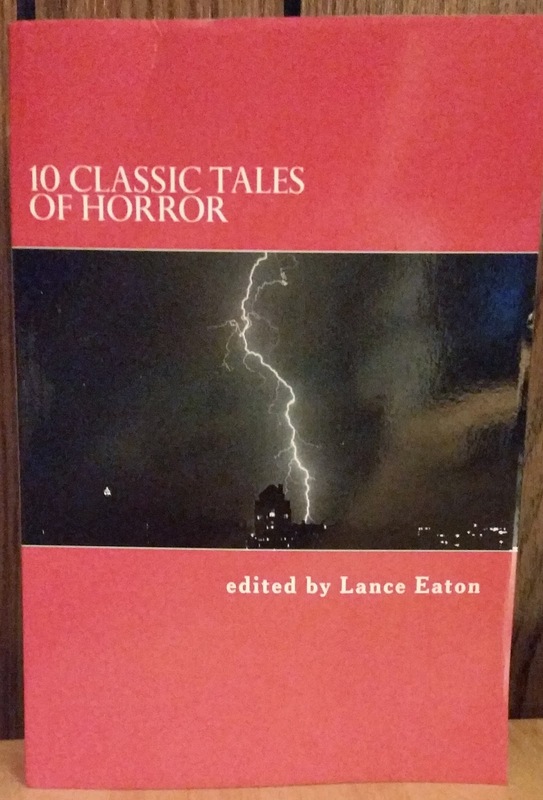 It is an anthology of horror stories: 10 Classic Tales of Horror to be precise that I pulled together with introductions to make and publish. My purpose in doing so wasn't to just put it out there and make a quick buck; my purpose was to see how easily and cheaply it can be done. One project that I am involved in at work is an Open Textbook Initiative as part of the Open Educational Resources (OER) movement. To that end, we have been looking at ways of making learning materials available for students for free or a reasonable price. Questions arise about OER with regards to how students can access them, particularly in print form. Some OER resources provide physical copies for purchase that are significantly cheaper than their commercial counterparts. However, I wanted to think about the idea of an instructor pulling together OER resources into book of sorts and what would that look like if the instructor wanted students to afford a cheap physical copy. This approach grabbed me because I teach literature and we are often using anthologies. I wanted to think about how I might pull together works that are in the public domain for my students to access as a physical text. Therefore, I make the 10 Classic Tales of Horror as an experiment. I used Amazon's self-publishing platform, CreateSpace, which made it quite simple (once I actually read the instructions on formatting the Word Document, I had it all in). Right now, the physical book is around $10 on Amazon and is about 438 pages. That's a reasonable price if this were a full collection of course materials that students could now have in hand. The Kindle digital version of the book is currently listed for $ .99 but I am working on a means of getting the price lowered to $0.00 if possible. The cost for the physical book is purely the cost of production and I make 0.00 on each unit sold. My goal in creating this is to not make a profit in any capacity and in doing so, provide a path for faculty to published their own content for their students in the forms that they are interested in pursuing. Even if I can't get the Kindle verson to $0.00, I can always make the PDF available to students just as I have made it available below. For those interested, here are the links and let me know what you think--both about the book and the process. Be sure to tell me what you think if you happen to purchase or download it for free!